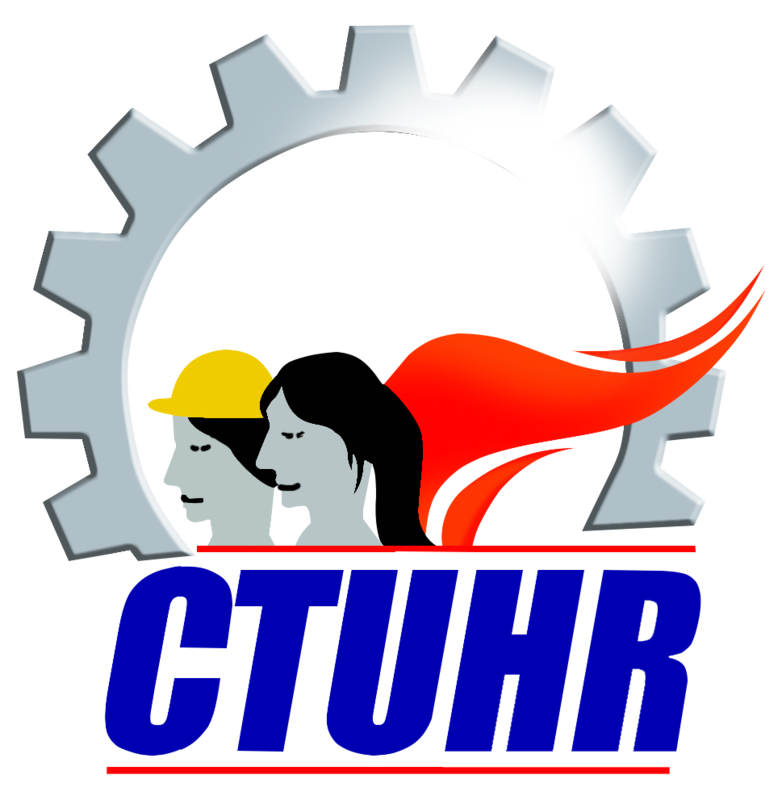 The Center for Trade Union and Human Rights (CTUHR) seeks ​ your solidarity and support in calling for the immediate reinstatement of 132 workers and trade unionists dismissed by a Korean-owned Dong-In Entech K1 factory located at the Authority of Freeport Area of Bataan (AFAB), Mariveles, Philippines. The workers who were first laid off indefinitely and cried union busting, were dismissed at once citing decrease in market order, while increasing production in its seven other plants also in AFAB. At the same time, Dong-in Entech K1, defy the Labour Department Order to promote to regular status the 646 contractual workers who had served the company for as long as 17 years but remained as contract workers. Thus, it is able to control the union growth by keeping its majority workers on repeated short term contracts under manpower agencies, which the law prohibits. Dong-In Entech K1 was established in 1996 in Bataan Export Processing Zone (BEPZ), the first manufacturing plant of the Dong-In Entech Group of Companies (formerly Gosrak Corp) led by Mr. In Soo Jung Chief Executive Officer (CEO). In its 22 years of operation Dong-In Entech Group has now eight (8) factories and offices in the Philippines located in AFAB (formerly Bataan Export Processing Zone), one (1) in Vietnam, builts it head office and another factory in Korea. It employs 8,141 workers (2016 data), 60% of whom are women . Dong-In Entech group manufactures and supplies outdoor gears and equipment for leading global outdoor companies and brands such as Mountain Hardwear, Mammut, Kelty, Camelbak, Black Diamond, Gregory, Arc’teryx, Mont.bell Japan that are sold in Europe and other parts of the world. It also supplies military backpacks and mountain gears. In 2015, its actual exports amounted $112,940,000 and in 2016, recognized by the National Tax Service Commission in Korea as exemplary. In the same year, Dong-in Entech was also given National Brand Award in Korea. 1) Union busting – On February 24 2018, Dong-in Entech K1 management notified the 132 regular workers, themselves unionists and been in the company since its operations in 1996 – that they are dismissed from work after they have been placed in floating status on December 8, 2017 without income. The management told them that buyers’ orders were cancelled. But the labor union– Dong-In Entech K1 Employees Association—decries the move as calculated union busting. The union cited that as they were preparing for negotiation for collective bargaining agreement (CBA) in July 2017, contract workers and production machines from Dong-In Entech K1 were transferred to the new plant, Dong-In REMC also inside AFAB. The regular workers were subsequently laid off twice, in August 2017 for more than a month and on December 8,2017 until their job termination. Last year, the union filed a complaint at the National Conciliation and Mediation Board- Department of Labour and Employment in Region III (NCMB-DOLE-R3) over illegal workforce reduction in violation of existing Collective Bargaining Agreement (CBA) and union busting. The union also sought the assistance of Solidarity of Workers Network (SWN) – a broad network of church people, workers and labour rights advocate which continue to accompany them. On December 22, 2017, the union filed a “Notice of Strike” (NoS) in protest and picketed the DOLE R3 to seek its intervention. It was apparent that Dong In Group management is preparing to abandon the Dong-In Entech K1 (pioneer company) while increasing production in other group-owned companies. And on January 22, 2018, the workers were surprised that Dong-In management offered separation pay to affected workers when they are calling for their reinstatement and the regularization 1,200 contractual workers that the union petitioned to get promoted into permanent status. These workers had been serving the company for 5-17 years already. The union argues that the management is really out to bust the union and to escape from CBA negotiation and only using decrease in market order as an excuse for termination. Marlon Manuel, union president noted that since the labour union was established in the company, their CBA was able to increase the wage of regular workers who receive Php450-Php600/day (US$9-US$12), though this is still a tiny fraction of the cheapest Mountain Hardwear backpack at US$49.00 a piece. The union also won for its members other benefits such as retirement package and hospitalization. The company however, stopped regularization of its workers and rake in profits from exploiting the extensive employment of contractual workers. Contract workers are paid the regional minimum wage, Php380/day (US$7.60) and dot not enjoy the benefits from CBA. In fact in mid 2016, the union filed a petition for the regularization of 1,200 contractual workers. There were only 132 regular workers in this factory. Denial of regular work status for 646 Contract workers in defiance of government order – Since Dong-In Entech K1 was established in 1996 (as the first factory Dong-In Entech Group of Companies in the Philippines), it has been directly hiring workers on repeated five (5)-month contract to skirt the law provision that a worker must be given regular status after six (6) months and one day of continuous employment. In 2011, the Dong-In management began hiring workers through two manpower agencies– MMA and Abelline – until 2017. On September 2016, following a stronger push for ending contractualization, DOLE-R3 conducted the mandatory labor inspection to check on Entech K1 compliance to the law. The inspection result took longer than expected to come out and Entech K1 management, took advantage of the delay. By January 2017, Dong-In management allowed another manpower agency – Renuel agency – to take over the workers hired by MMA and Abelline essentially terminating MMA & Abelline services in apparent move to render DOLE R3 decision moot in case it rules on the illegality of MMA and Abelline. Renuel agency then began transferring the Entech K1 workers and production machines to a new Dong-In Entech manufacturing plant called– Dong-In Entech REMC – to produce the same products (sporting backpacks) that Entech K1 is producing. Entech REMC used to produce solely military backpacks and hardwears for export. The 192 regular workers and union members at the time were left at Entech K1. ​ Dong-IN management did not recognize the length of service given by workers and still considered them as contract workers no longger under MMA and Abelline, but Renuel. Distressed about the Labour Department’s silence on petition for regularization and complaint of union busting and CBA violation against Entech K1, the union and majority contract workers trooped at the DOLE-R3 office on December 22,2017 to press their demands. At the protests, DOLE representatives handed them a decision dated November 22, stating that Dong-In Entech K1 is guilty of illegal practice of engaging MMA and Abelline manpower agencies as they are confirmed labour only contractors. Engaging labour only contractors is prohibited by law, thus ordered Entech K1 factory to take their 646 out of 1,200 contractual workers hired through MMA and Abelline as regular employees. The workers were elated at the decision but also took note of frustrating delay, that if issued earlier, Dong-In management could have been pre-empted from replacing the two agencies into Renuel. Nonetheless, the union contend that it re-affirmed the legal violations of Dong In Group of Companies primarily Entech K1. However, Dong-In Entech K1 appealed the decision at the Office of DOLE Secretary in Manila. Thus, on January 22, workers held a protest at the DOLE office in Manila. Since the start of the operation of Dong-In in the Philippines, Filipino workers particularly from its first factory, Entech K1 laboured hard and responsible for the huge profit that the company rake in in its 21 years of operation. It is apparent in Dong-In expansion of manufacturing plants, that now has 8 companies in AFAB economic zone, Philippines. Bataan is in the north of Manila and the first export processing zone established in Asia (1974) when it was known as Bataan Export Processing Zone or BEPZ. Immediate reinstatement of the 132 workers and trade unionists laid-off since December 8, 2017 and then subsequently dismissed on February 22,. Stop busting the union and start the negotiation for Collective Bargaining agreement. THANK YOU VERY MUCH FOR YOUR SUPPORT AND SOLIDARITY.